One day after casting his vote for his father rather than for either of the two major party candidates, Gov. Larry Hogan vowed to work with President-elect Donald J. Trump and called for bipartisan cooperation. 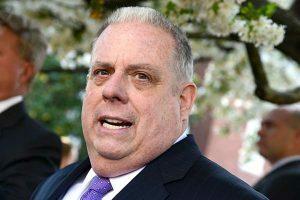 Hogan said Tuesday he wrote in the name of his father, who he credited with teaching him about holding office with integrity. The governor, over the better part of the last year, has distanced himself from Trump, criticizing the Republican for comments he’s made on the campaign trail and ultimately announcing he would not vote for his party’s nominee.